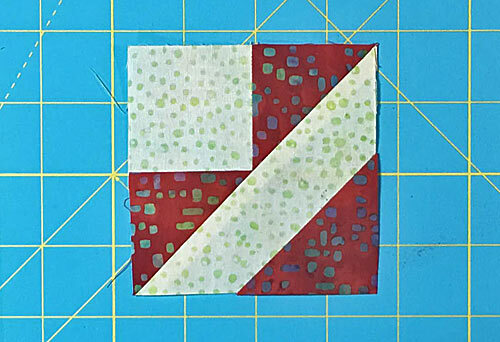 Our Brave World quilt block tutorial concludes by adding a simple variation—a half square triangle shape in the corner. We've used this same variation on a Birds in the Air block, too. 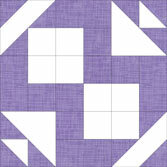 Some examples of quilt blocks that use this variation. And if you find this tutorial helpful, please remember to 'Like' the page at the bottom. Please read all the instructions before beginning. Two different methods to piece the unit are shared on this page. You'll need to choose the one that best fits your needs. 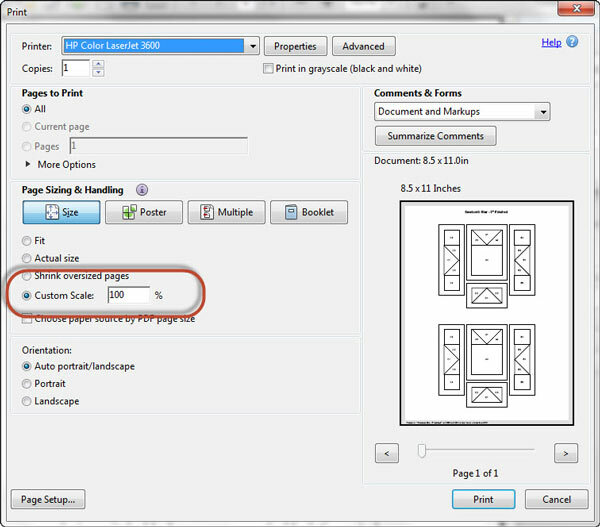 Pressing instructions are highlighted in yellow throughout this tutorial. Seams are all pressed away from the previous patch. 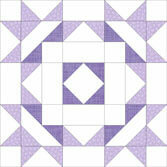 For traditional piecing you must do it on purpose; in PP you don't have a choice. 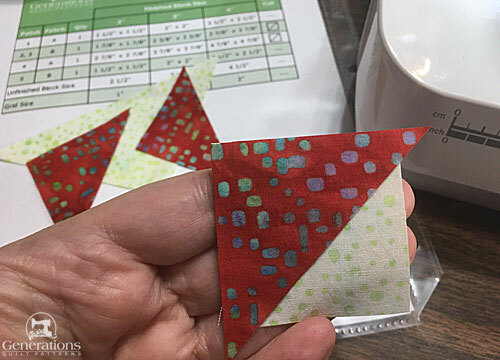 I like to starch my quilt fabrics before cutting for both piecing methods. They're easier to cut and stitch. If you've never tried starching your fabrics, learn how to do it here. 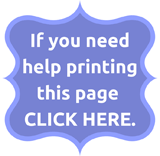 If you are using traditional methods click here to skip down to Cutting. For PP continue on here. For the 3" finished sample blocks, we've used Variation #1 with a light #1 and #4. The fabrics are identified as 'A' and 'B'. 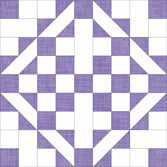 Click here to print a copy of the block design and the cutting charts. 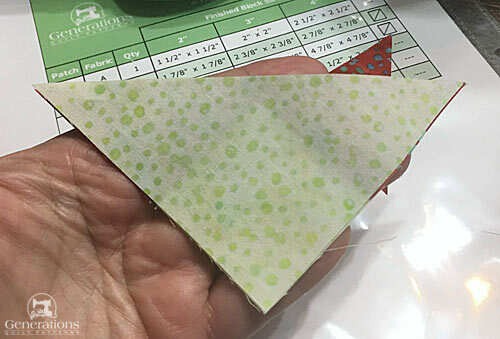 To help tame the bias edges in this design, I like to starch my fabric before cutting with a 50/50 mix of StaFlo Liquid Starch concentrate to water. Best Press will also help if you prefer that—it's not quite as stiff a starch-job. 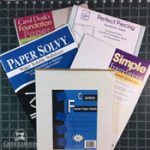 Choose your technique and cut your patches. 2, 3, 5	 B	 2	 2⅜"	x	2⅜"	 2⅞"	x	2⅞"	 3⅜"	x	3⅜"
4	 A	 1	 3⅜"	x	3⅜"	 4⅜"	x	4⅜"	 5⅜"	x	5⅜"
NOTE: You will have a leftover #4 and #5 triangle shape. 2, 3	 B	 1	 1⅞"	x	1⅞"	 2⅜"	x	2⅜"	 2⅞"	x	2⅞"
4	 A	 1	 2⅞"	x	2⅞"	 3⅞"	x	3⅞"	 4⅞"	x	4⅞"
NOTE: You will have a leftover #4 triangle shape. 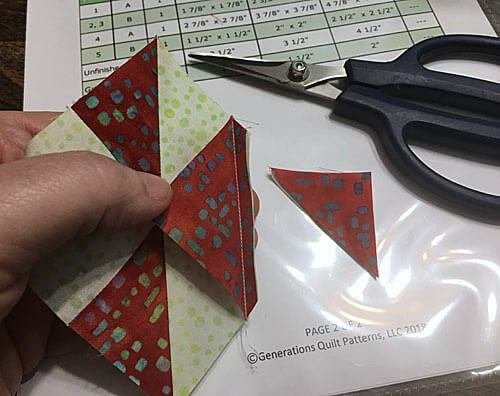 If you've cut from the green Traditional cutting chart, click here to go straight to those instructions, otherwise continue on here for PP instructions. 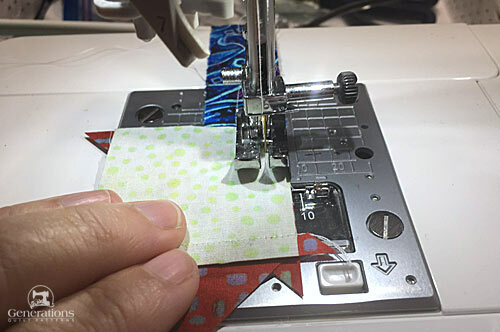 Reduce your machine's speed or just plain slow down when you stitch. Sew only as fast as you can stay on the stitching lines. 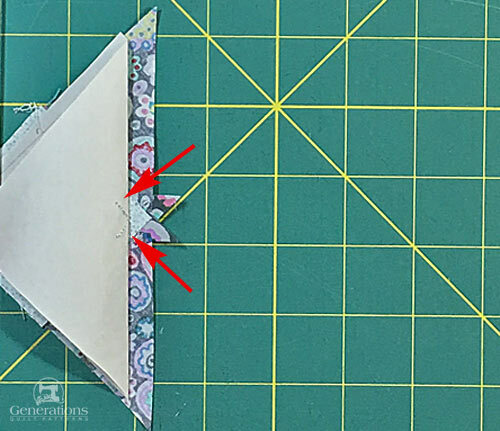 Install an open toe applique foot if you have one (it's easier to see where you're stitching with one installed). Use a larger needle (90/14) if you have problems removing the pattern. 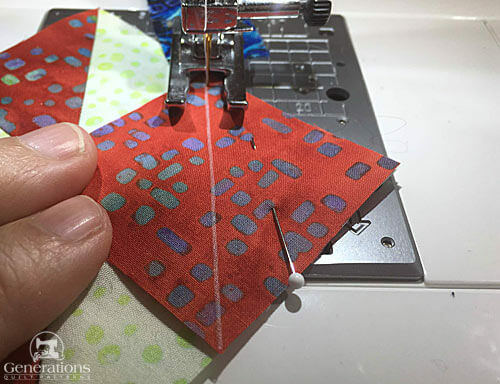 As you stitch each seam, start and stop a generous 1/4" before and after the solid stitching lines. Future lines of stitching secure the ends. After adding each patch, press the unit as it was sewn to set the seam. Then press it open. It is automatically pressed towards the last patch added. Steam is optional and usually curls the pattern. If that bothers you, don't use steam. Sometimes I do, sometimes I don't. It really just depends on my mood. Cut out one of the patterns from the copy you printed. Just a bit past the outside dashed line will do. No brownie points for neatness as we'll trim to perfection after stitching. 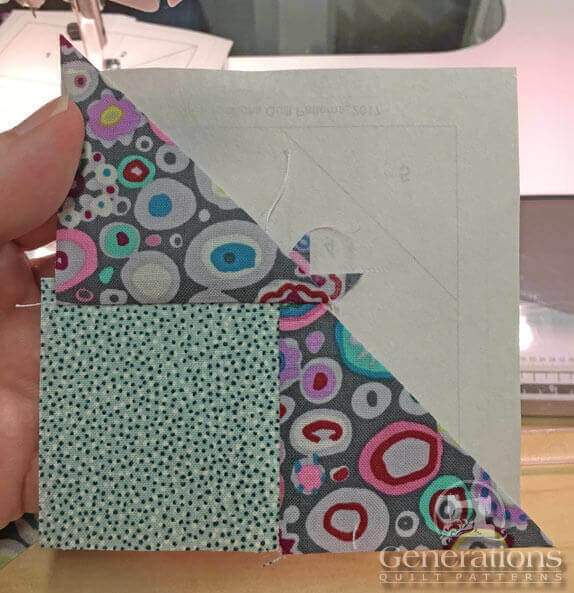 With the tiniest dab of Elmer's Washable Glue Stick stick the backside of #1 to the unprinted side of your pattern. Align two of its edges with the dashed placement lines around #1. With RST, line up the short edge of #2 with #1. 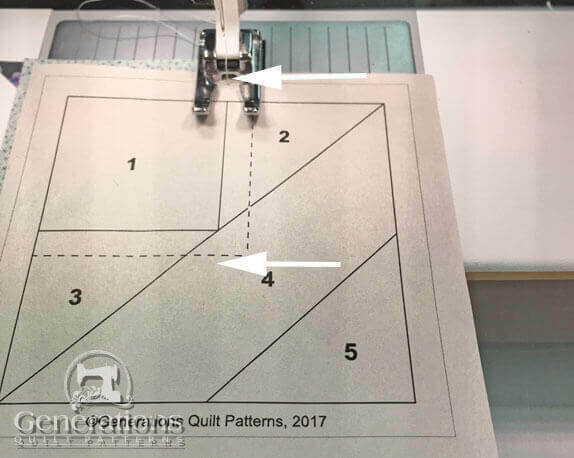 Sew, starting from a good 1/4" before and ending a good 1/4" after the solid line between #1 and #2 begins and ends (white arrows). This SA is secured with the third one. Sew all your seams in this manner. With RST, align the short edge of #3 with the adjacent side of #1 as shown below (white arrow). I haven't bothered to trim the thread tail in the center...that'll happen in the next step with my rotary cutter. ...off to your cutting mat for a little haircut! Time to trim #2/#3 to a 1/4" SA to help us position the next patch. 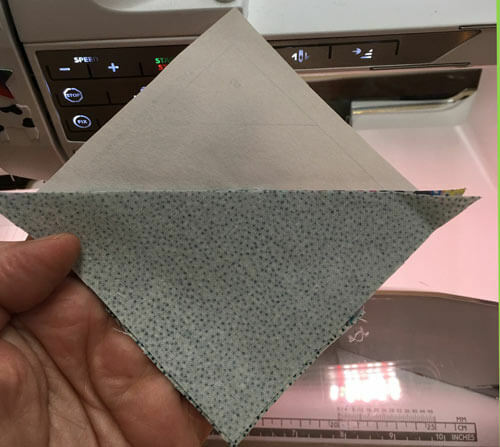 At your cutting mat, lay the pattern down printed side up. 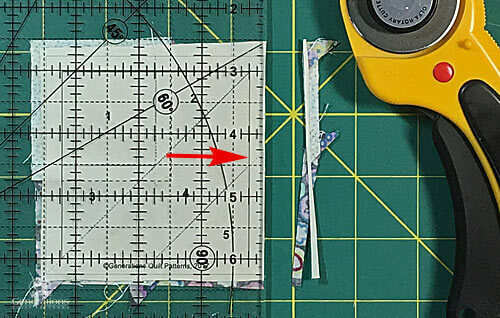 With your ruler aligned with the solid line between #2/#3 and #4, pull back the pattern and crease at this line with your fingernail. Your thumbnail is the perfect tool for this 'creasing'. 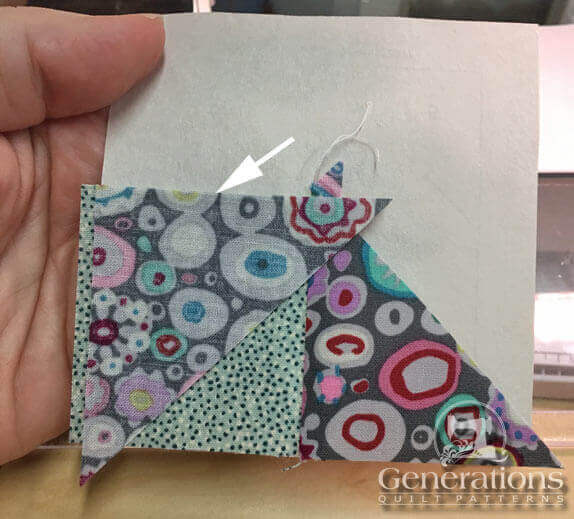 You will need to pull the stitches away from the pattern a bit (red arrows below) and then fold the paper back on itself along the crease. 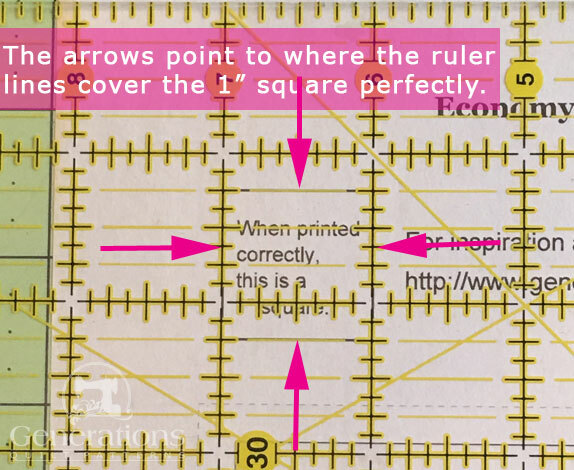 Position the 1/4" marking on your ruler with the crease and trim with your rotary cutter. An Add-A-Quarter PLUS ruler is a good tool for this job if you have one. If you find yourself mis-cutting in this step, it'd be a good investment. 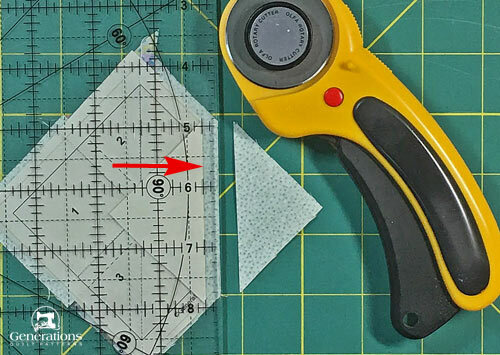 You've created the perfect positioning line for #4—a 1/4" away from the fold/seamline. With RST, align the long edges of #4 with the freshly cut edge. 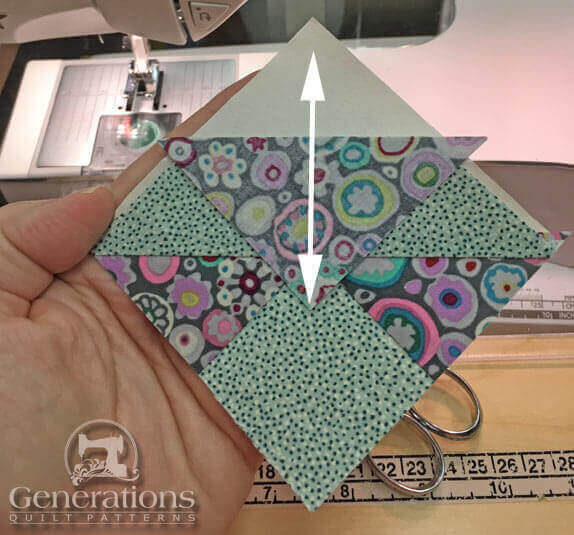 From the paper side stitch as before, starting well before and ending well after the solid stitching line. Because the stitches run from edge to edge you can chain piece this step to save a bit of time. Trim #4 the same way we did #2/#3—creasing on the lines, folding back the pattern and trimming to 1/4"—the only difference is there are no stitches to pull away. Finally, with RST, add #5. Again, you can chain piece this step. 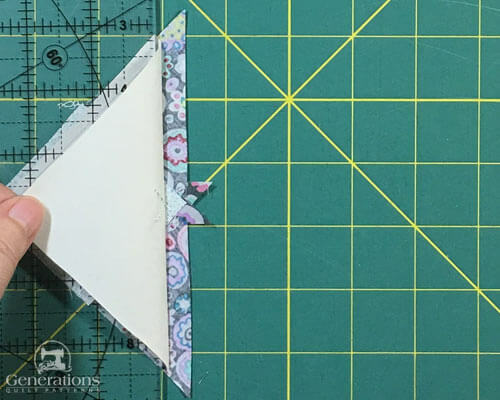 Trim this Brave World quilt block unit to size by aligning the 1/4" mark on your ruler with the solid outline of the unit. Trim with your rotary cutter. Repeat for all for four sides. If you have come to this lesson from another tutorial, click the 'Back' button to return. If you're not sure where / what it is, click here to see it. 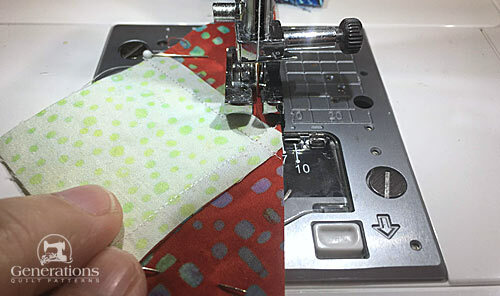 Set-up your sewing machine with your favorite quarter inch foot, your regular stitch length and a nice 50 wt 100% cotton thread like Aurifil or Superior Threads' Masterpiece. Again, starched quilt fabric makes the sewing more accurate, in my humble opinion. All the SA are pressed away from the first patch. Every.Single.One. Before you start, I strongly urge you to take a Sewing Test to ensure that your 1/4" SA is perfect. 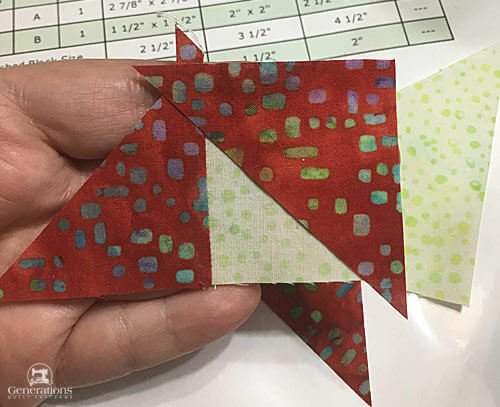 We'll be joining bias edges together and any deviation from a 1/4" is multiplied because of the diagonal seams. 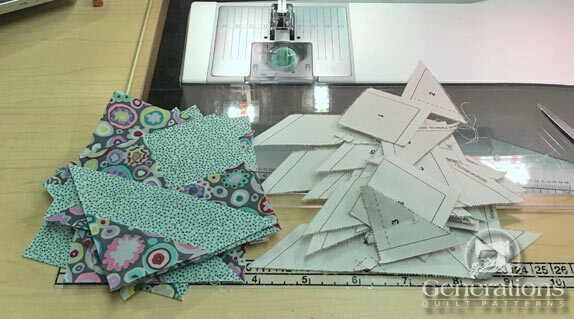 Brush up on how to do a Sewing Test here. With RST, align a short edge of #2 with #1. The seam is stitched from the top side of this pairing. Stitch starting at the square edge...not the pointy one. With RST align a short side of #3 with the adjacent side of #1. 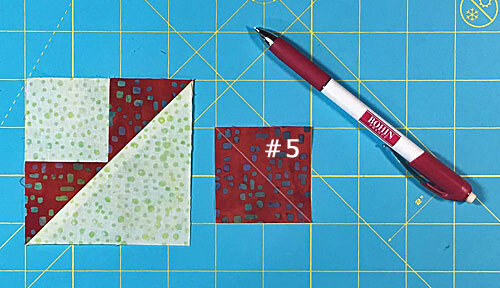 Before stitching, double check that when opened, #2 and #3 form a long, straight diagonal line. Again, the seam is along the top side of this grouping. Again, stitch starting from the square side. 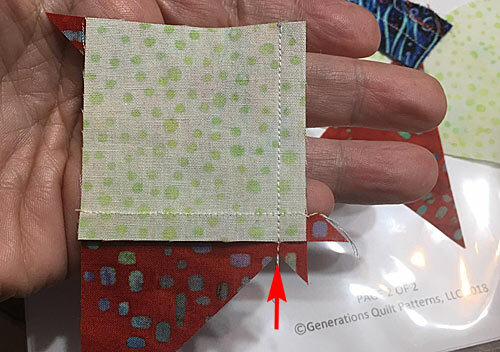 Your stitching should end up right in the valley between the two patches (click here to see it). If you want to get rid of those dogs ears now, you can trim them off with a scissor. With RST, match the #4 with this stitched #1/#2/#3. If your stitching and cutting is accurate up to this point, these patches will be identical in size. 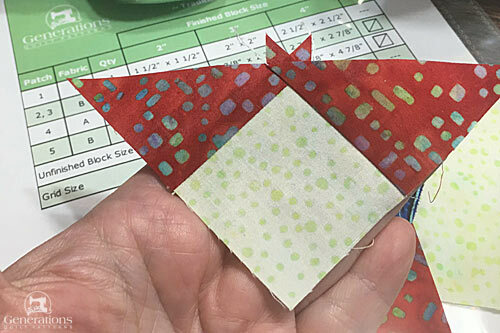 Both edges for this next seam are on the bias. I like to pin to hold the edges even. Then let the machine pull the patches through. We're merely guiding them through. Let the feed dogs do the work. The seam should be a thread or two to the right of the 'X' made by the previous lines of stitching. Give the patches a press with the SA toward #4. Check that your unit is the correct size using the chart below. 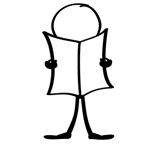 On the back side of #5 draw a diagonal line from corner to corner. Here I've used my favorite Bohin Mechanical chalk pencil. With RST, layer the #5 in the corner of #4, the diagonal marking ends touching two adjacent sides. I've switched to my open toe applique foot. Its much easier to see where to place my stitches. 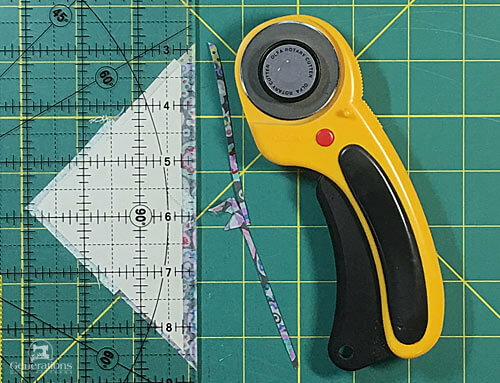 For an accurate unit, stitch on the side of the line closest to the corner. 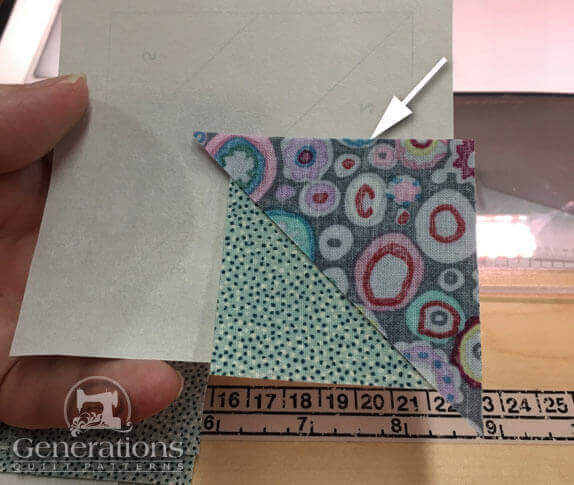 This gives us just enough for the 'turn of the cloth' in the seam allowance for an accurate Brave World quilt block. You can just make out that these stitches are on the side of the marking closed to the corner. Trim away the excess fabric leaving behind a 1/4" SA. 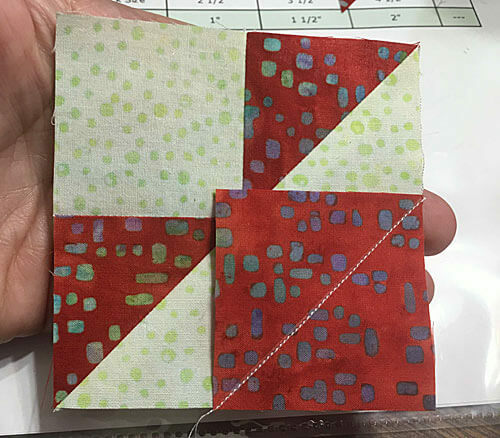 One last press (SA toward #5) and your Brave World quilt block unit is complete. 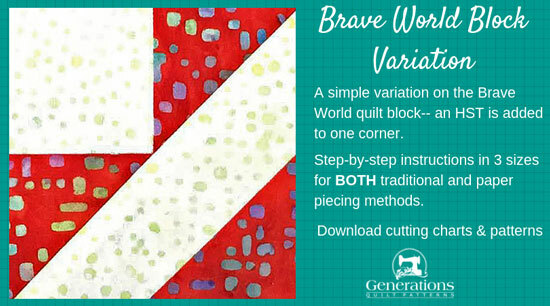 So now that you know how to make this variation on a Brave World quilt block, where do you use it? At the time of this writing, a tutorial is available on this site for the Medieval Walls block.